at 888-900-1950 or e-mail with any sizing questions. 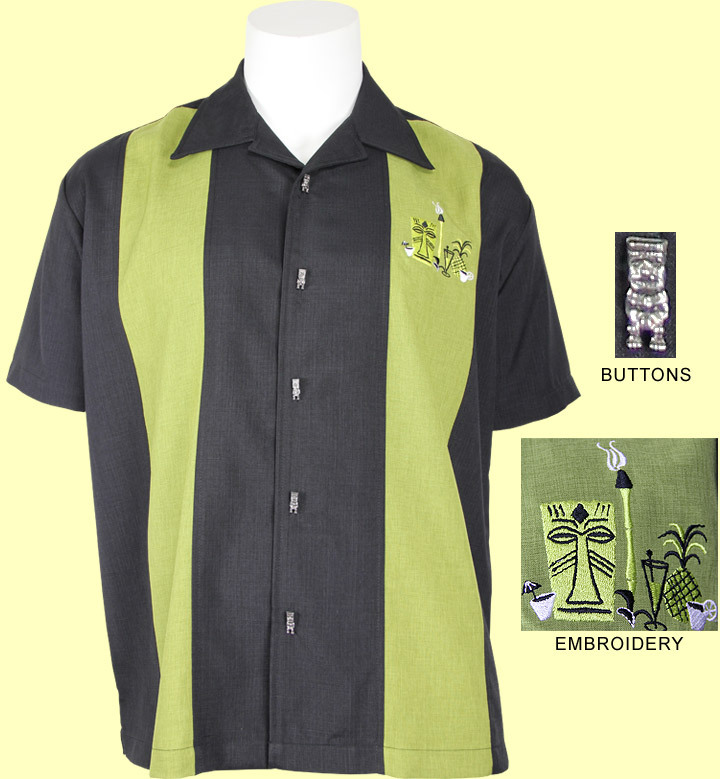 This classically styled black shirt features two front green panels, metal tiki buttons and tiki embroidery in the left panel. This is made from a great low maintenance fabric with a nice look and feel.